April 20, 1986 – AWA WrestleRock: Tiger Mask (Mitsuharu Misawa) defeated Buck Zumhoff. April 29, 1995 – WWF Challenge: Hunter Hearst Helmsley (in his debut WWF Match) defeated Buck Zumhoff. August 3, 2007–Rock N Roll Wrestling: Buck Zumhoff defeated Doink The Clown in Springfield, NE. Andy Kresha wrote: I was just checking out your website and thought THIS is awesome!! One thing I wanted to add. 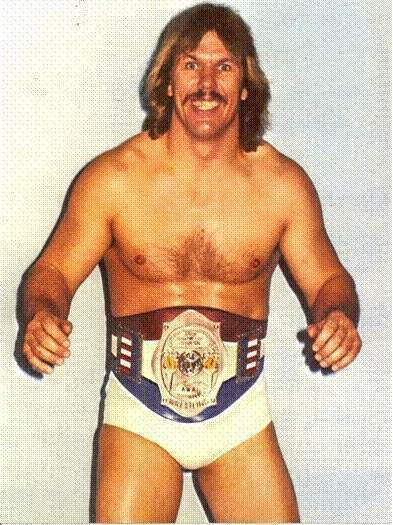 Rock n roll Buck Zumhoff was also noted as beating Bobby Heenan in the ring and making him put on the Weasle suit……and that is how he became known as Bobby the “weasle” Heenan. Great stuff guys!!!! Brings back a lot of memories!! !